What’s the Patient’s Responsibility in Preventing Medication Errors? After refusing to have an infected tooth pulled, Sue’s dentist prescribed amoxicillin to treat the infection. The active 77-year old began having gastric distress after taking only a few pills. But Sue didn’t want to “bother” her dentist by reporting something as “simple” as diarrhea. So she didn’t, despite advice to the contrary from family members. After a week, Sue became dehydrated and weak and decided to call her internist, who promptly admitted her. She was inpatient for six days fighting severe pseudomembranous colitis (Clostridium difficile infection), during which time she developed a blood clot in the knee she’d had replaced the previous year. Sue has now been on anticoagulants for four years, and despite hopeful consultations with multiple specialists, will end up wearing compression stockings and taking anticoagulants daily for the rest of her life to manage the blood clot in her knee. Sue’s dentist followed standard protocol. And her internist acted smartly after observing severe symptoms. But what about Sue? What’s her responsibility in all of this? Sue’s refusal to report her symptoms to a provider - despite a clearly worsening problem and pleas from family - not only caused her suffering. It cost Medicare a lot of money. Had Sue reported the gastric distress early, her dentist may have told her to discontinue the amoxicillin and written a prescription for a different antibiotic. But she didn’t, so he couldn’t, launching a painful and costly chain of events. I’m not advocating that we blame patients for medication mishaps. But the patient can take on some of the responsibility for preventing medication errors like Sue’s. In order to do this, however, clinicians must do a better job explaining how to recognize problems early, so patients know when to reach out for help. Data indicate that patients and their caregivers are usually the first to notice any observable problems resulting from medication errors. It’s our job to help them understand when to report them. Even more important, providers must take all patient reports seriously even when they are for minor issues. Data shows that patients do not report all the problems they perceive and are more likely to report those that they do perceive as severe. They may not report problems attributed to their medications if they are fearful of doctors' reactions, and doctors may respond inappropriately to patients' concerns, for example by ignoring them. Here are three actions that empower patients to take more responsibility for reporting possible adverse medication events. 1. Improve communication about side effects and early warning symptoms that something is not right. Physicians tend to think that discussing serious side effects risks patient non-adherence. But if we expect patients to take responsibility for preventing medication errors, we must explain to them each medication, why they are on it, and the potential side effects. Even the serious ones. Counsel patients how to identify and report concerning symptoms in a timely fashion. 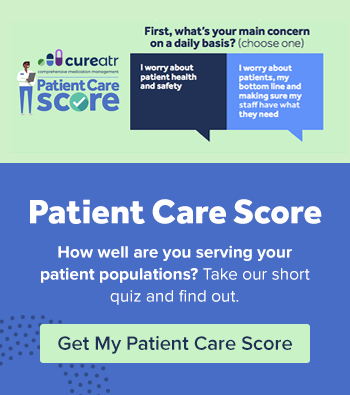 Provide a checklist that spells out which symptoms require a call. I realize the clinic schedule gets crazy and that doing medication education at hospital discharge is challenging with elderly and at risk patients. But no matter how busy we are or challenging it may seem, we must take the time to be open and honest with patients about medications risks. 2. Build patient confidence to report symptoms - no matter how small. Studies indicate that most patient reports about possible medication errors or adverse events are accurate. The patient knows something is up. It’s our job to make them comfortable contacting us to report it before things spiral out of control. When you counsel patients, look them directly in the eye, perhaps place your hand on their shoulder, and convey that even seemingly small side effects can become serious if they are not reported. Let patients know that it is never a bother to contact you if they suspect something is not right. Convey the importance of reaching out instead of suffering in silence and make it easy for them to do so. For example, give nurses and care coordinators business cards that include a direct line, and instructions about what to do if it’s an evening or weekend. 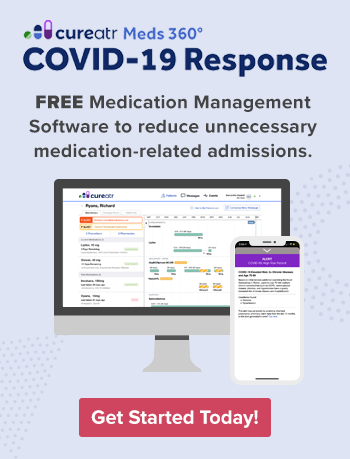 If you prescribe high risk medications and are serious about preventing medication errors, it’s vital that you have some kind of follow up plan. Care transition programs and the patient centered medical home models have improved the long-time practice of putting the onus of follow up on the patient. But we still have a long way to go. Follow up with patients post-discharge and after their visit. How are they feeling? Are they experiencing any symptoms on the list? Review the list and reiterate the things to watch for. Involve the family when possible. Call, email, send a text message, or do all three if you are able. Certainly, discharge and care management departments are busy places and clinic schedules barely allow time for providers to eat lunch. But these can’t be the excuses for why we aren’t fixing this problem. Empowering your patients and staff to be vigilant in identifying medication knowledge gaps and untoward reactions to therapy is vital to avert life threatening and costly problems. Making these three actions a routine part of your pharmaceutical care will go a long way towards improving the safety and effectiveness of the medications you prescribe.